The 23 H20 Surf is one of Chaparral’s new wakesurfing models. 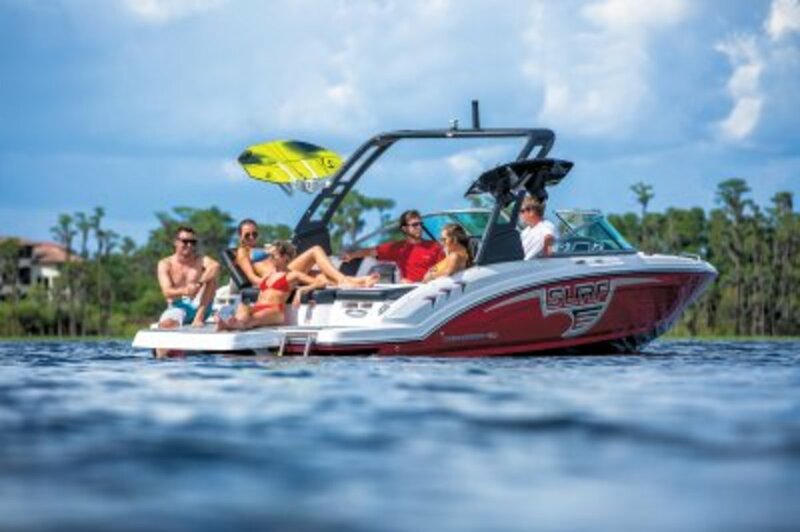 Marine Products Corp, parent company of Chaparral and Robalo, has been named to Fortune magazine’s list of the 100 Fastest Growing Companies in the nation for 2018. The top 100 companies were ranked according to growth in revenues, profits and stock returns over a three-year period and were chosen from more than 3,000 entities listed on U.S. stock exchanges. MPC was ranked 73 and is one of two boat manufacturers listed. To qualify for the list, a company must be trading on a major U.S. stock exchange, report data in U.S. dollars, file quarterly reports with the Securities and Exchange Commission, have a minimum market capitalization of $250 million and a stock price of at least $5 on June 29, 2018 and have been trading continuously since June 30, 2015. Companies must have revenue and net income for the four quarters ended on or before April 30, 2018, and at least $50 million and $10 million, respectively and have post an annualized growth in revenue and earnings per share of at least 15 percent annually over the three years ended on or before April 30, 2018. Companies that meet the criteria are ranked by revenue growth, EPS growth rage and three-year annualized total return for the period ended June 29, 2018. The overall rank is based on the sum of the three ranks.